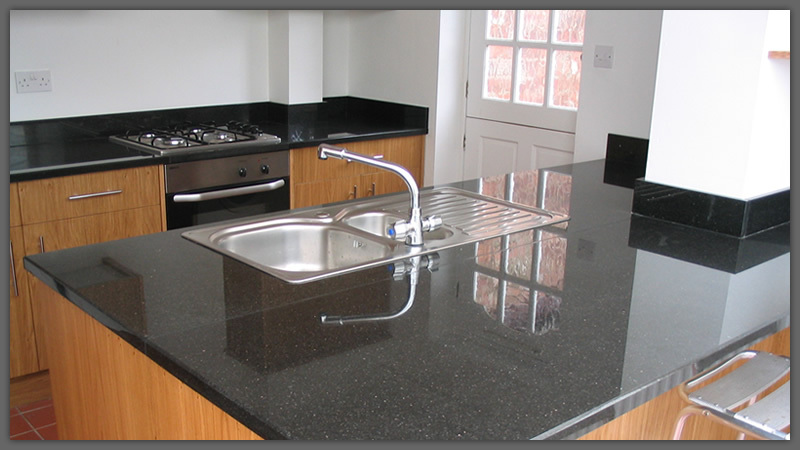 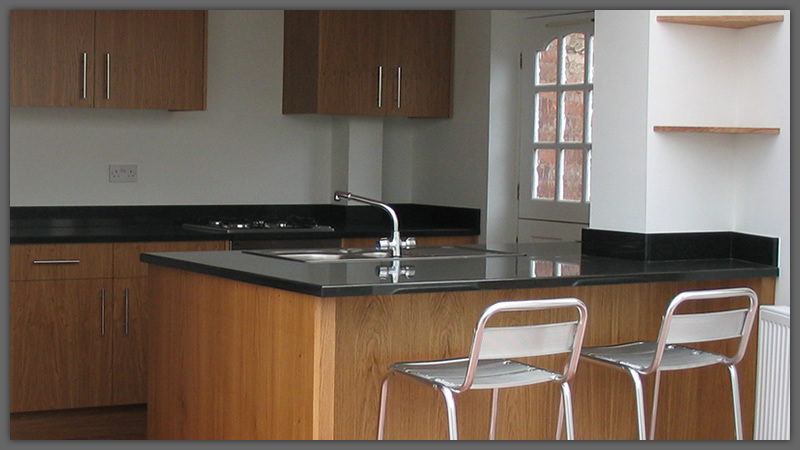 Oak overlay kitchen with star galaxy granite worktops. 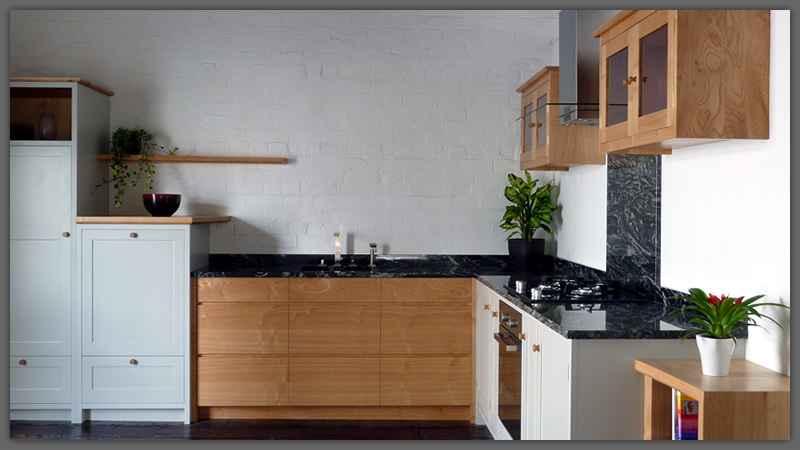 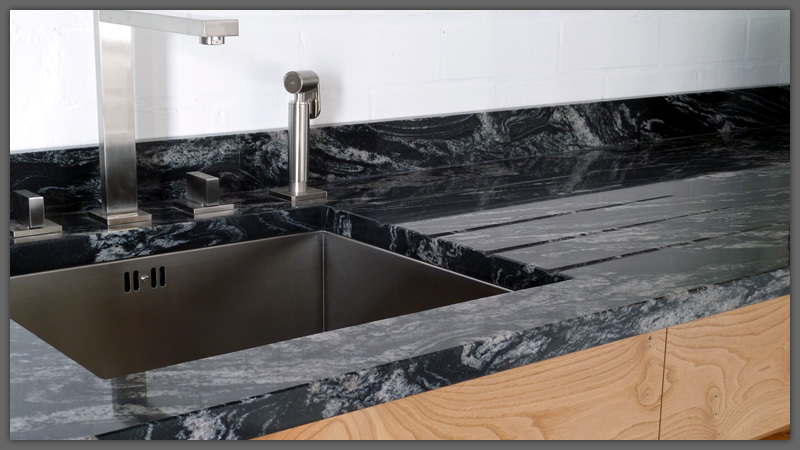 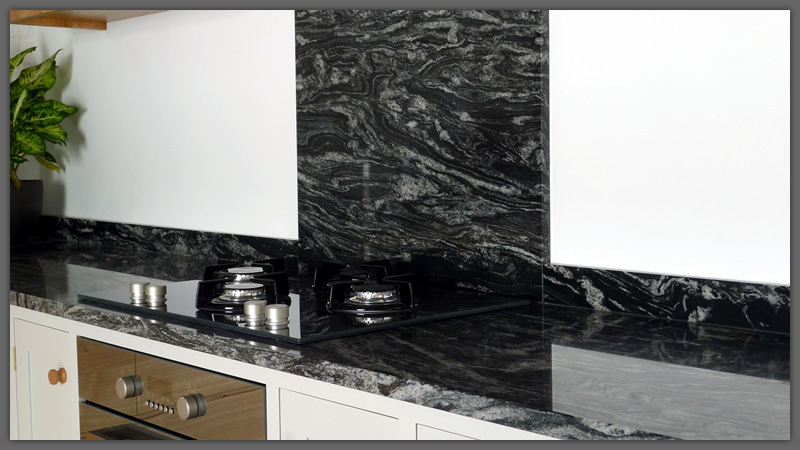 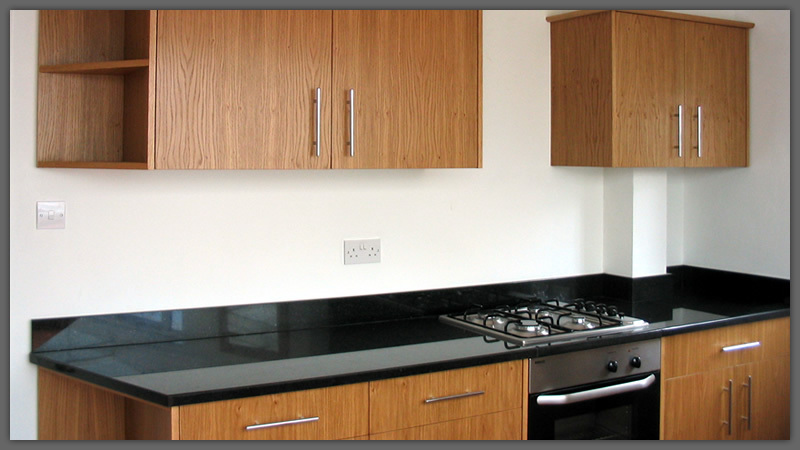 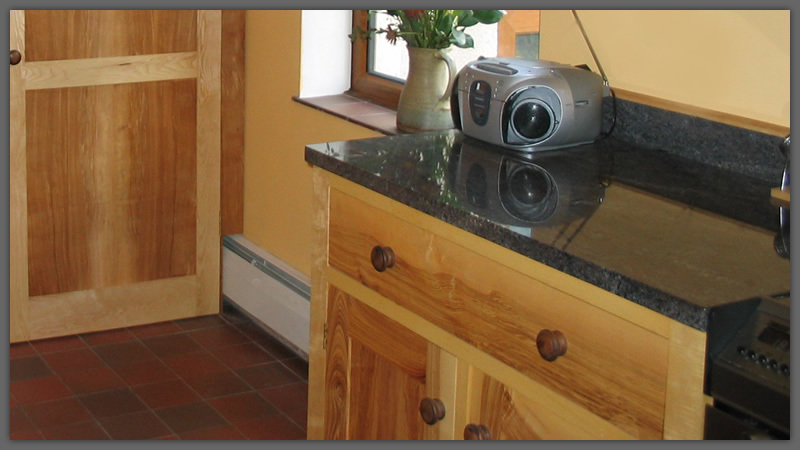 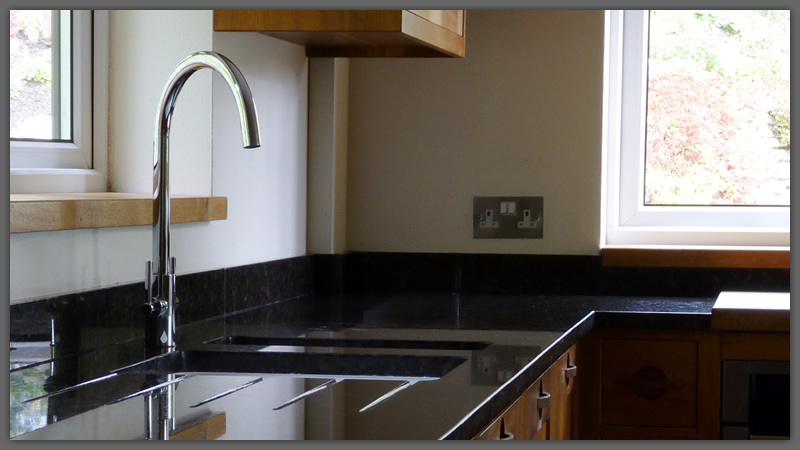 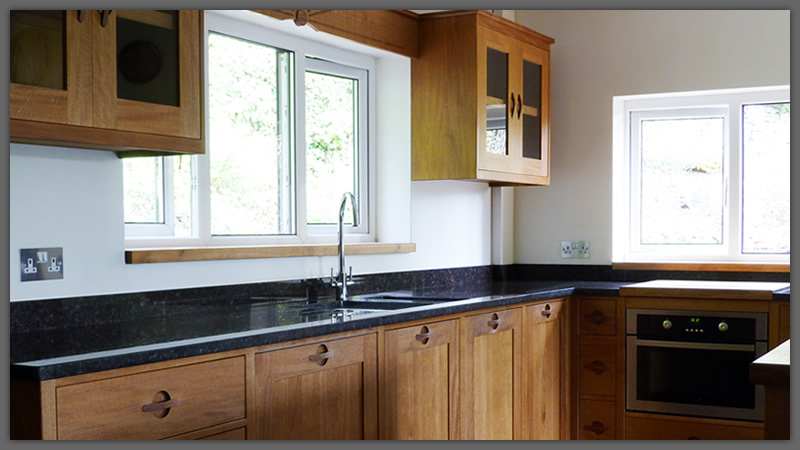 Brown oak and sycamore kitchen with anciento black granite worktops. 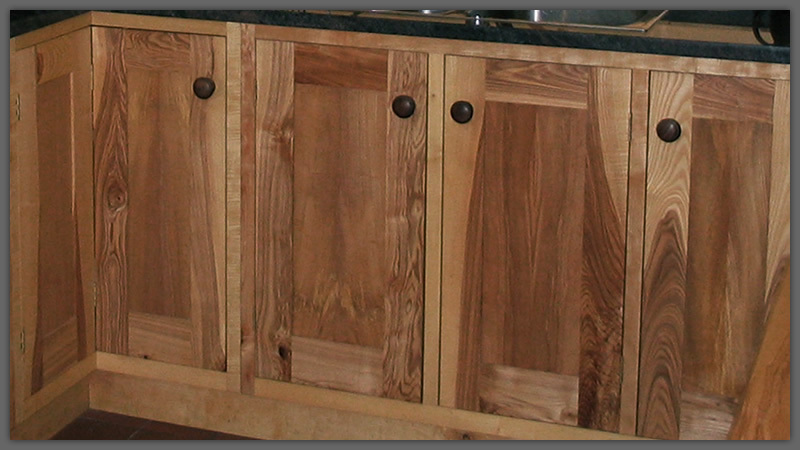 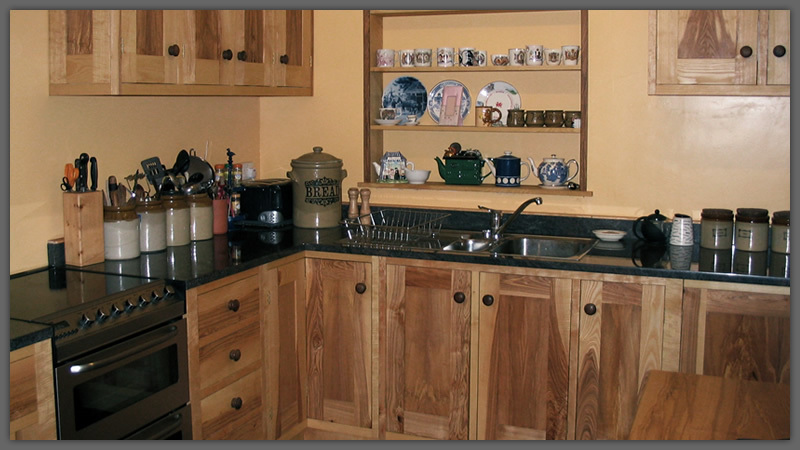 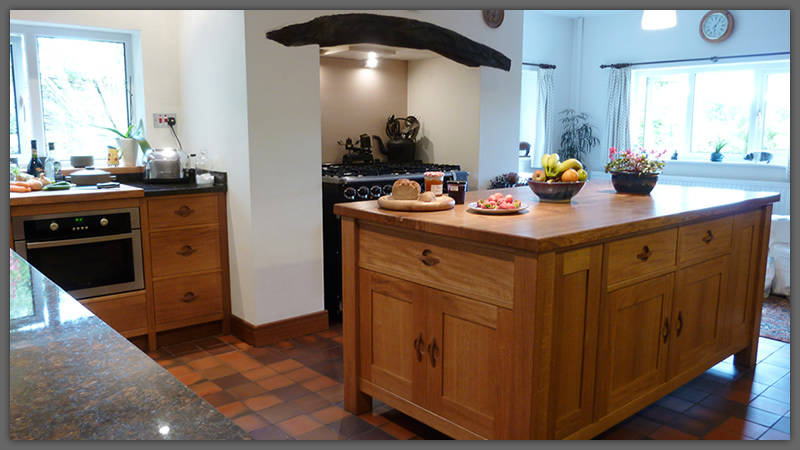 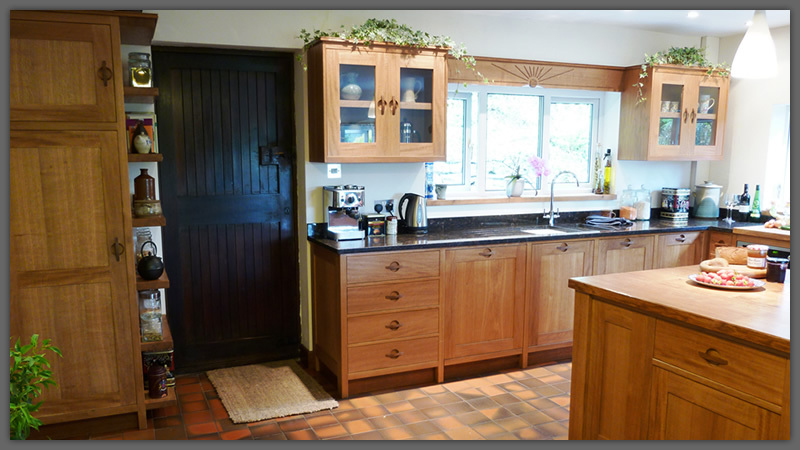 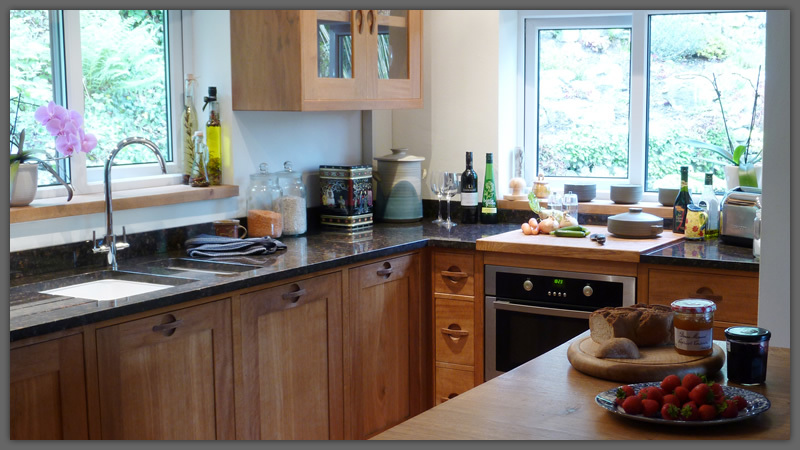 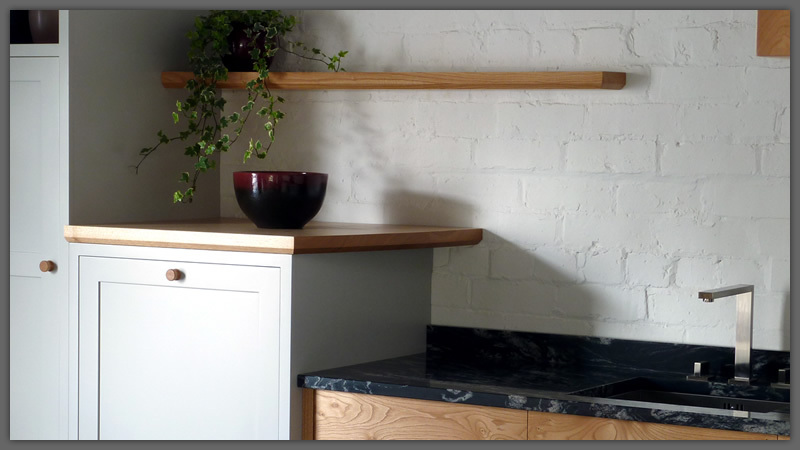 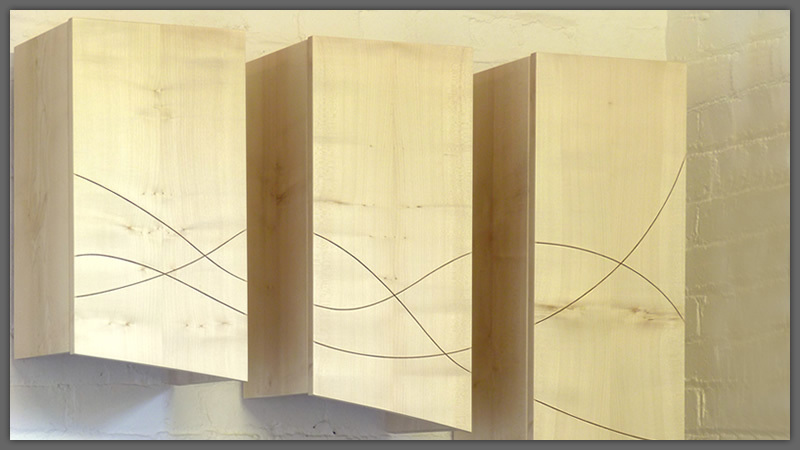 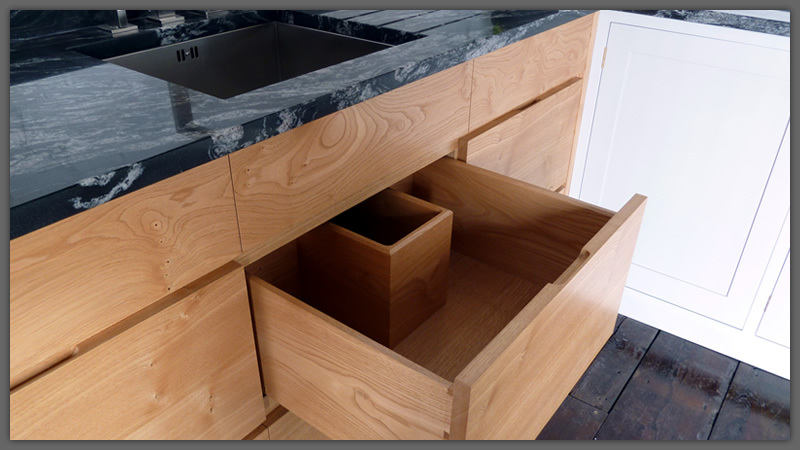 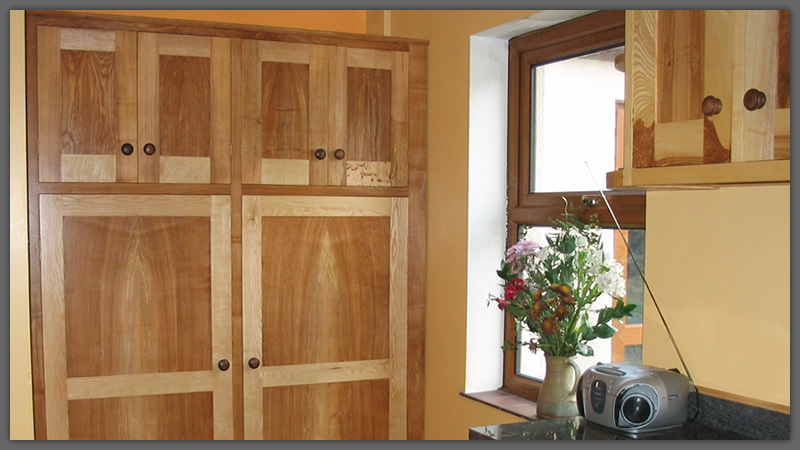 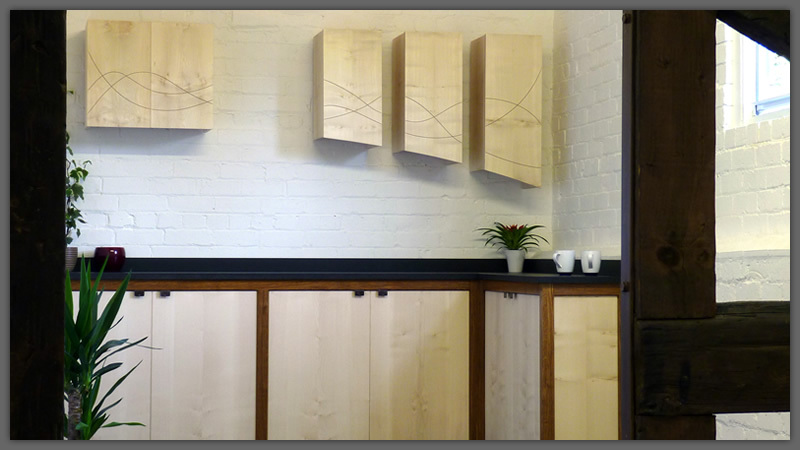 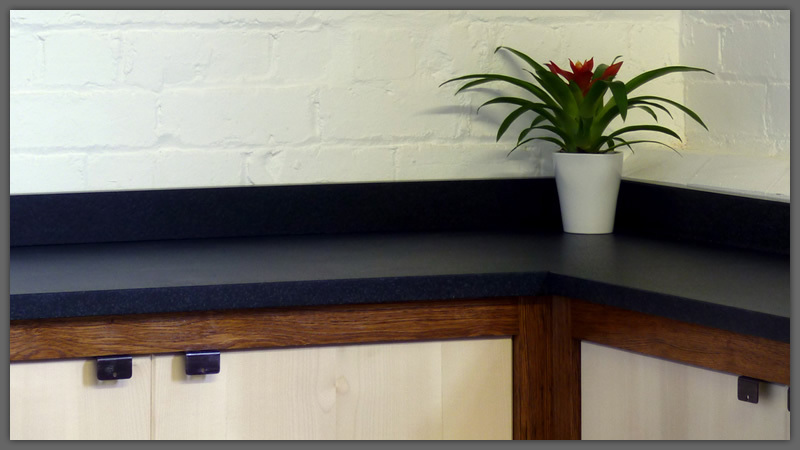 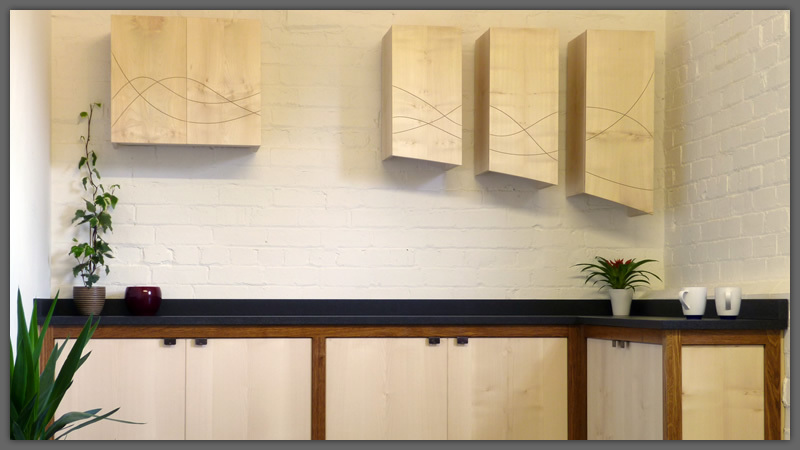 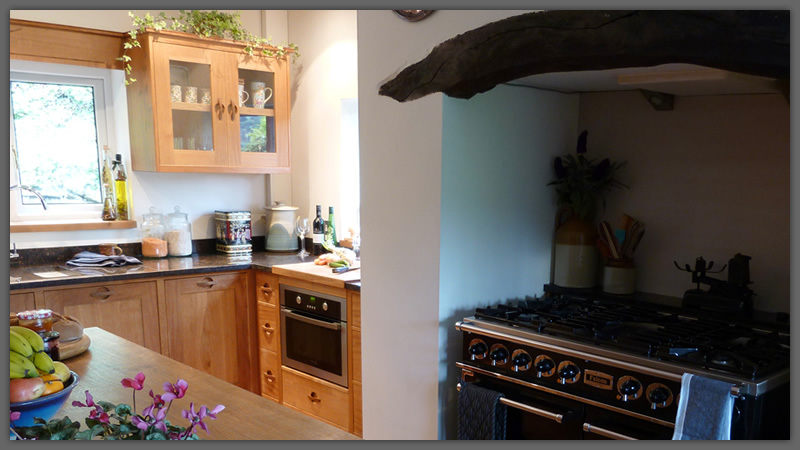 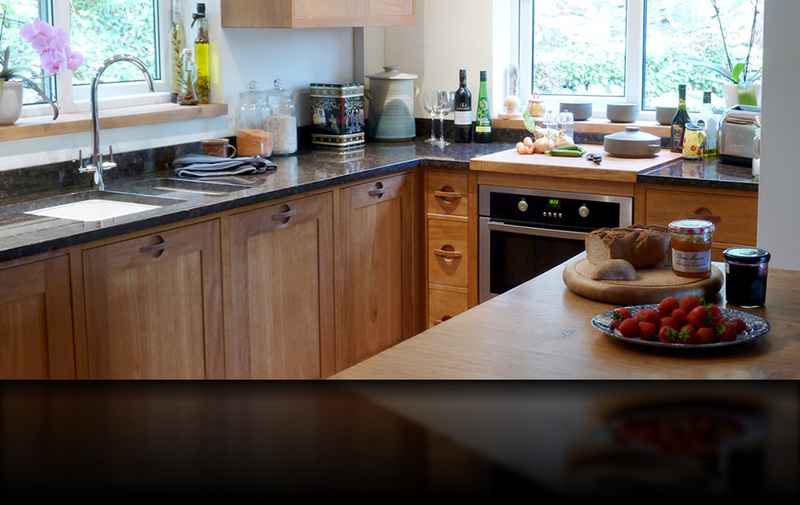 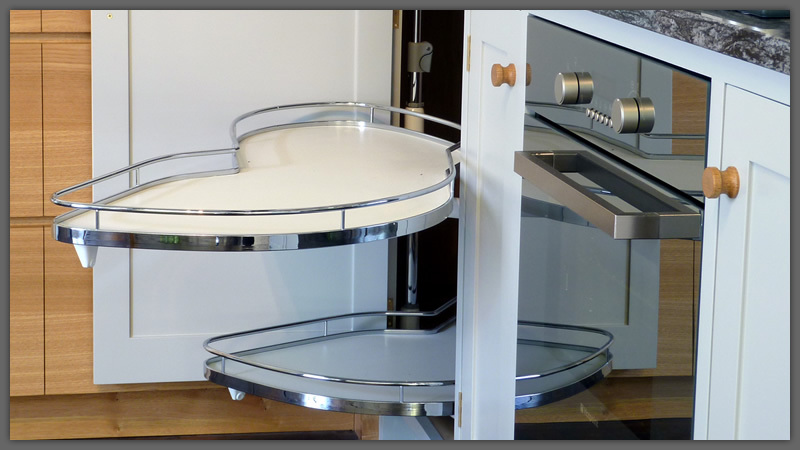 Bespoke handmade, solid wood kitchens made in Wrexham, Chester and North Wales. 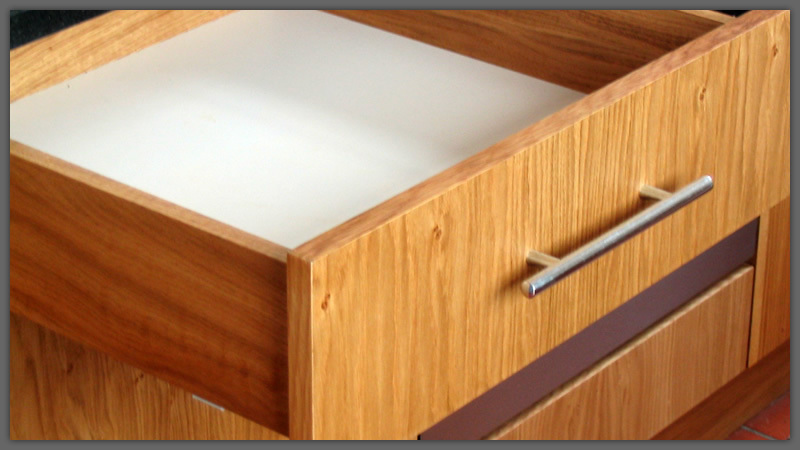 Available in a wide range of solid woods such as Oak, Sycamore, Ash, Cheshnut and many others.